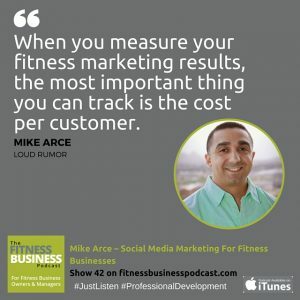 Mike Arce is the CEO and founder of Loud Rumor, a 7-figure fitness marketing agency that helps studios and independent gyms grow and get more members. 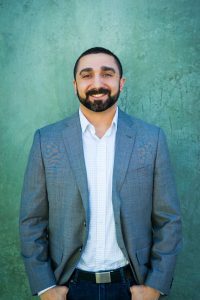 He’s an entrepreneur, speakers, coach, and advertising pro. 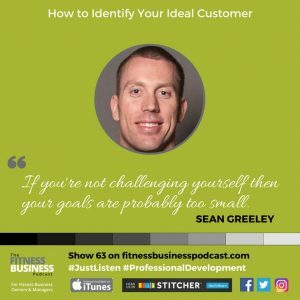 Mike also hosts a top fitness business podcast, The GSD Show which I was lucky enough to appear on just a few weeks ago, so this time it was my turn to interview Mike. How to get new leads for your fitness business. The first step you must take before advertising on facebook. Strategies for closing leads – including a great tactic for getting a prospect to commit to coming in to your gym. How to handle common sales objections and three questions you must ask a prospect. 08:26 – Where should we get our leads from? 18:49 – What are the common objections from potential customers?